Strong maternal attachments can help children cope with paternal abandonment. 4 How Does a Bad Childhood Affect Relationships? As children grow into adults, they often rely on their parents to help them forge the path to who they are supposed to become. They look to mom and dad for lessons on morality and lean on them as they learn how to trust. Even as independence is gained, the child-parent relationship can be crucial. So when a child’s father is no longer in the picture, what can the resulting long-term effects be? Kids tend to internalize abandonment, and may experience diminishing self-esteem as the result of parental abandonment according to Deborah Moskovitch, divorce consultant and researcher, in the Huffington Post article, “Estranged or Abandoned by a Parent: Are Children Scarred for Life?” Even when their father’s estrangement has nothing at all to do with them, they may convince themselves that it resulted entirely because of something they did or did not do. For kids who grow up feeling as though their father didn’t want them, they may further convince themselves that no one else ever will either -- that they are not worthy of any future accolades or love in life. Children who have been abandoned by their father are more likely to express a fear of abandonment in other facets of their lives as they grow. For girls in particular, this can translate into issues with commitment and trust according to Pamela Thomas, researcher and author of “Fatherless Daughters: From the Pain of Loss to the Power of Forgiveness,” in the Psychology Today article, “The Face of Fatherloss” When a major figure walks away early on in life, it may be hard to dissuade her from the belief that everyone else will also walk away. When children have experienced emotional distance from their fathers, they are more likely to struggle with intimate physical relationships in adulthood according to a 2007 study out of the University of Haifa School of Social Work. It can be difficult for them to let people close, and for those who feel at their most vulnerable when physical, giving into that level of vulnerability may sometimes feel impossible. Instead, they may grow to put up walls in order to protect themselves from the kind of connection which can be achieved through physical intimacy. While being abandoned by a father can clearly have detrimental effects on a child’s future, a few key components exist to being able to combat those long-term effects. 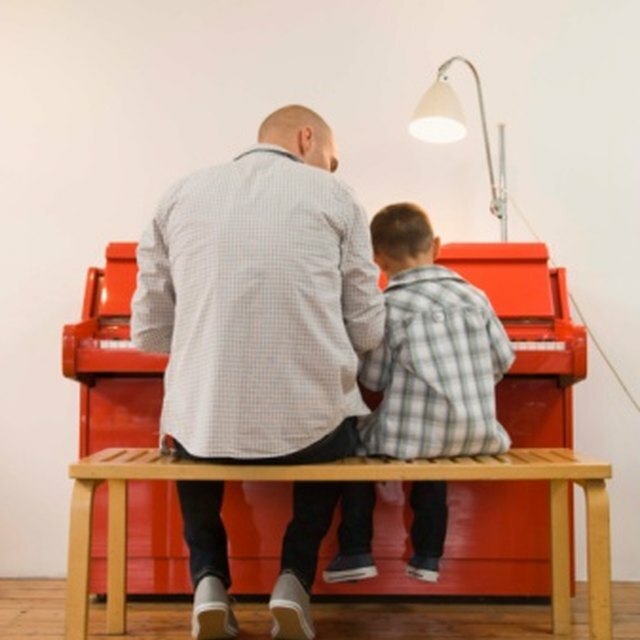 Finding a good therapist, particularly a male therapist, can be beneficial for children who have been abandoned by their fathers, according to Marsha Kline Pruett, a psychologist, quoted by Moskovitch. Being able to form a solid bond with the remaining parent can also help heal abandonment, as well as having other adults in a child’s life who she can love and rely upon. Huffington Post: Estranged or Abandoned by a Parent: Are Children Scarred for Life?